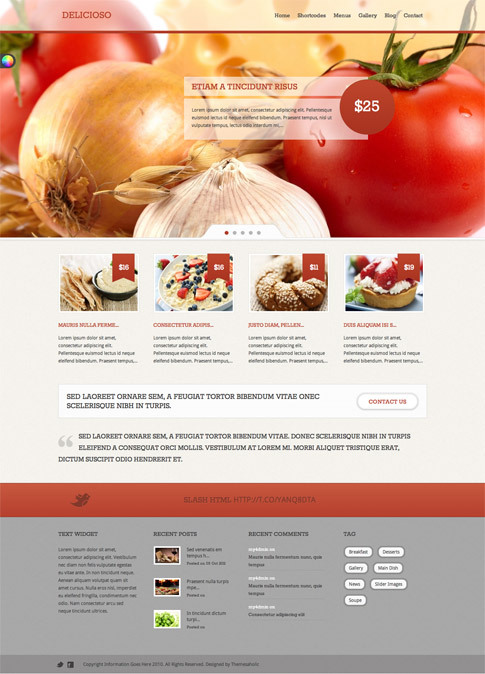 Delicioso premium WordPress theme is a great looking restaurant WordPress template built with plenty of amazing functions that will help you to run your restaurant website without loosing too much time and allowing you to make a great first impression on your guests. Delicioso premium theme is jam-packed full of awesome style, so it’s really best to check out the features below and then the live demo at the end of the post. Come back and check out the showcase as we find more sites from around the web using Delicioso.